Rider: Marie-France Roy. Photos: Colin Wiseman. I received my first Patagonia PowSlayer Jacket in 2013. A strong believer in the theory of less is more, I immediately fell in love with the simple design. It’s a performance-first piece. It’s waterproof, the pockets are deep enough to stash a pair of goggles, they’re placed appropriately away from where my transceiver usually sits, and the pit zips are easy to open and close. But the jacket also had a nice fit that didn’t make me feel too bulky. 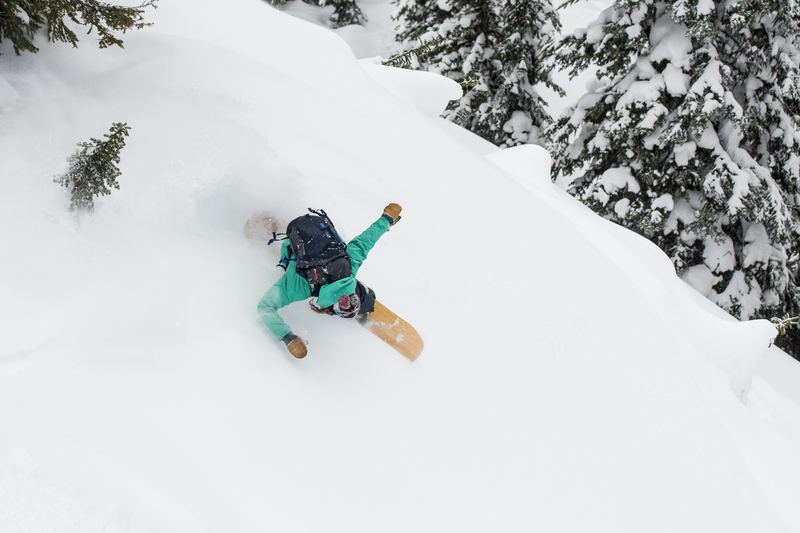 After four seasons of use in the Pacific Northwest, primarily in wet snow, variable conditions and plenty of powder days, the jacket was still holding strong. But looking ahead to “wetter than normal” forecast for the 2017/2018 season, I thought it best to replace it with the new PowSlayer. While the 2018 edition remains true to it’s simplistic and functional design, Patagonia has also added some nice improvements. 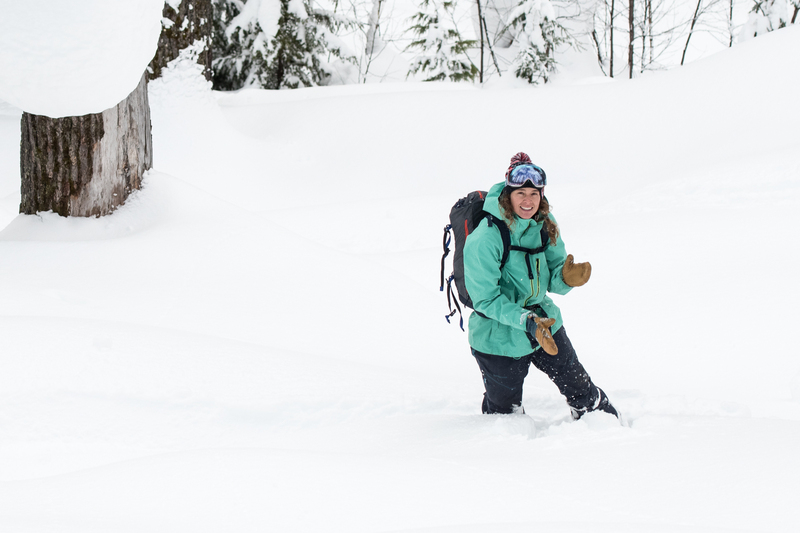 The feel of the new Gore-Tex® Pro fabric, featuring recycled nylon, is lighter, more mobile and easy to stow in the pack for splitboarding or hiking. The smaller footprint zippers are water and wind-tight, as tested in 35MPH winds one stormy, early-season day at Mt. Baker, WA. I’m also a fan of the new cord-lock system integrated in the hood and hem that allows for quick adjustments, while wearing mittens, to accommodate changing conditions. 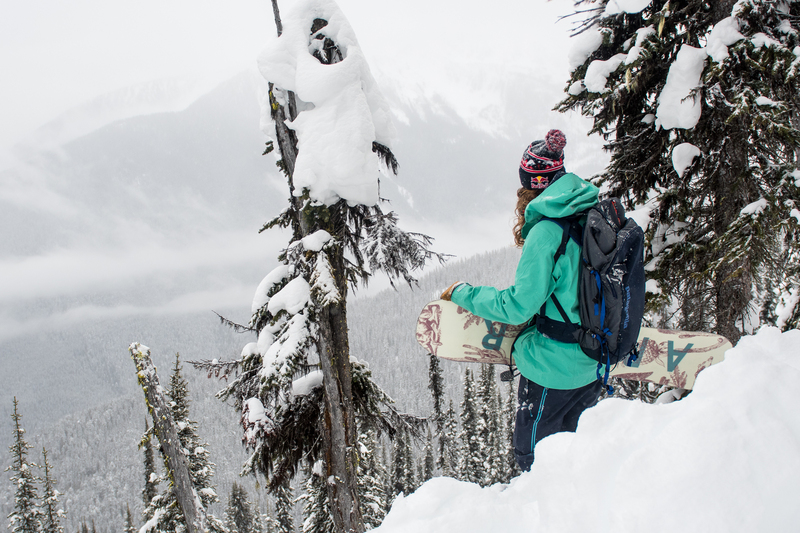 Few options exist in the market place for a female snowboarder who enjoys sliding downhill in inclement weather, grateful that Patagonia is creating technical outerwear, designed for ladies, that lasts for years. The Patagonia PowSlayer Jacket is available at patagonia.com and wherever Patagonia products are sold for $699.00.